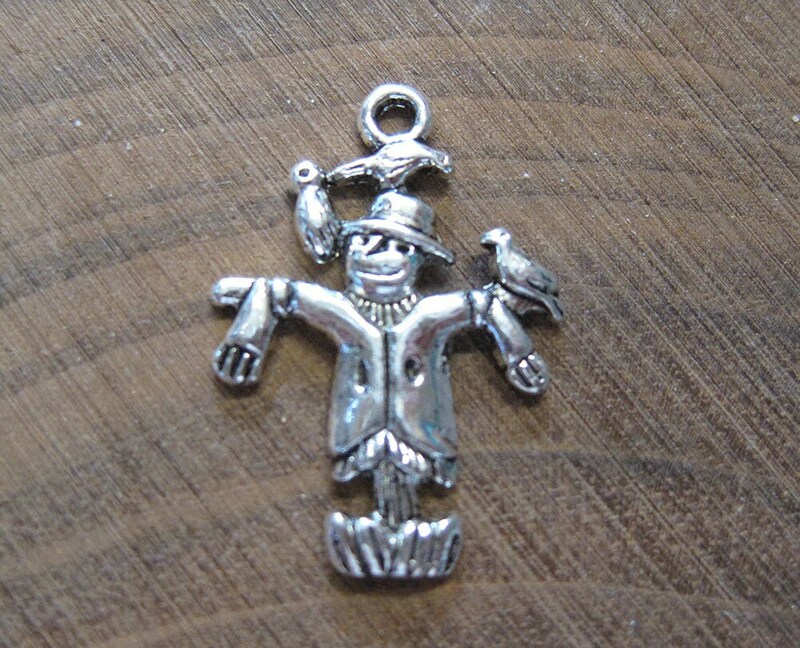 10 antique silver scarecrow charms. These charms measure 25mm x 17mm (about 1" x 5/8"). Perfect for zipper pulls, bookmarks, key chains, stitch markers, earrings, charm bracelets and your farm, autumn or fall themed jewelry. Zinc metal alloy, lead free, cadmium safe. Excellent quality and fast service. Very pleased repeat customer. 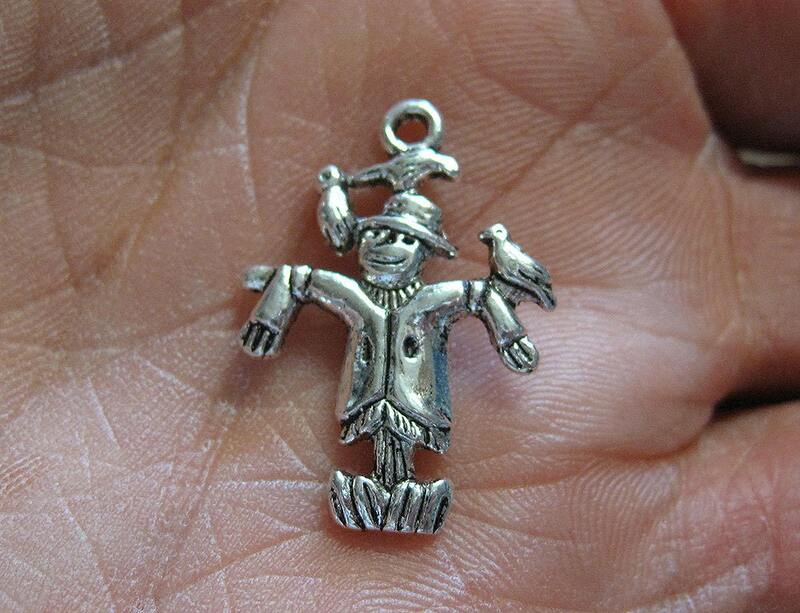 Super nice charm. Will definitely purchase from this seller again.